Mitchell Street is the heart of Darwin’s nightlife. There’s plenty of other places for nocturnal fun like the Waterfront and other street in the CBD, but Mitchell Street has the history. 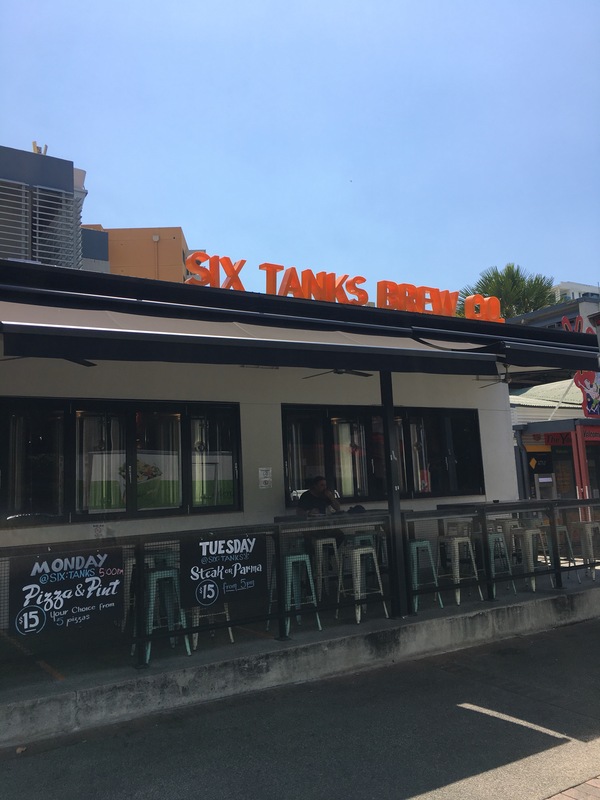 A new addition to the Mitchell Street strip is Six Tanks Brew Co. This is a fabulous Tap House, which serves great beer and food. Darwin’s climate is consistently brutal to soft Southerners. By 9am it is well over 30 degrees and as we head into the wet season the humidity is omnipresent. Six Tanks is a bright breezy place with terrific air conditioning. There’s plenty of seating, both high and low style. It is a really comfortable place. Whilst the Precinct on the Waterfront has a greater number of taps, the taps of Six Tanks are more likely to yield a unique beer or two. 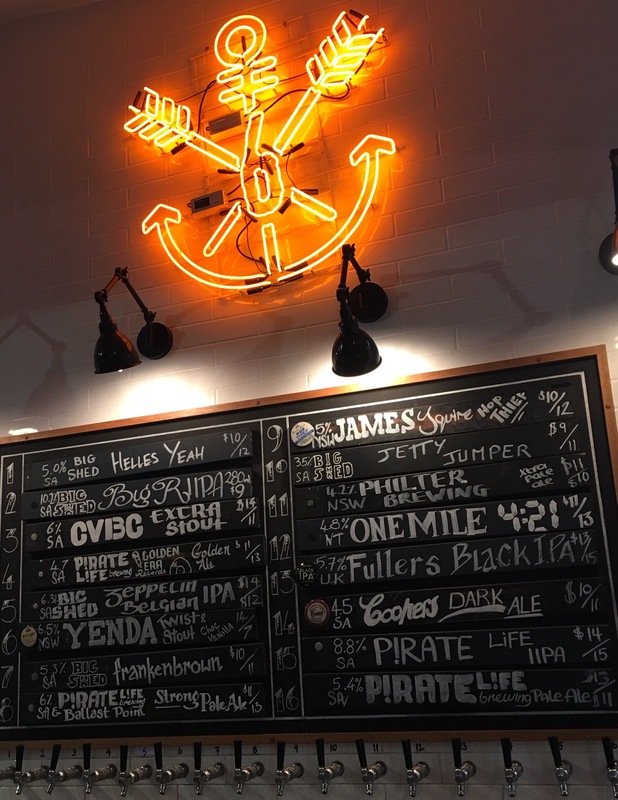 South Australian beers featured prominently on the 16 guest taps on the night we visited. 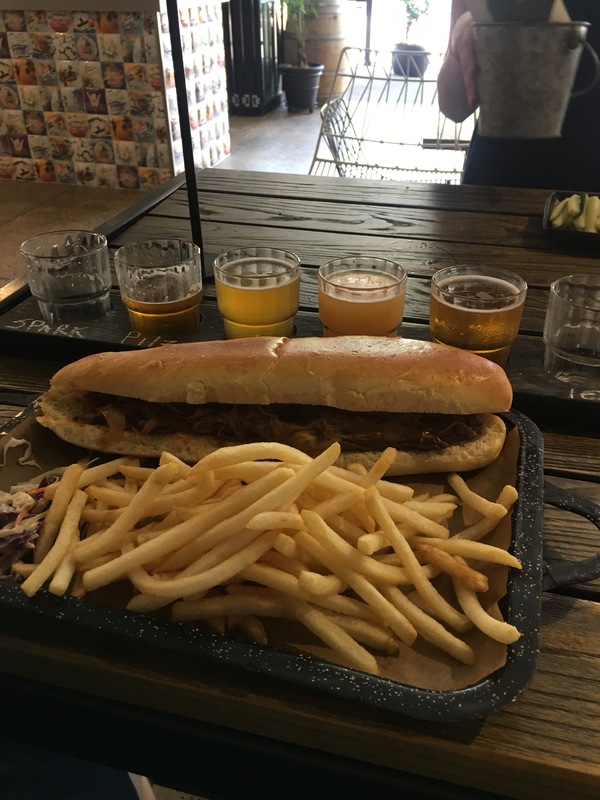 Six Tanks also serves up its “own” beer. Six Tanks brings in beer wort from New Zealand and adds water, yeast and hops. It puts these in its own six gleaming Tanks to ferment and finish off. Sounds like really, really big home brewing. Six Tanks’ own range is not too challenging, sparkling and summer ales and mid lagers. 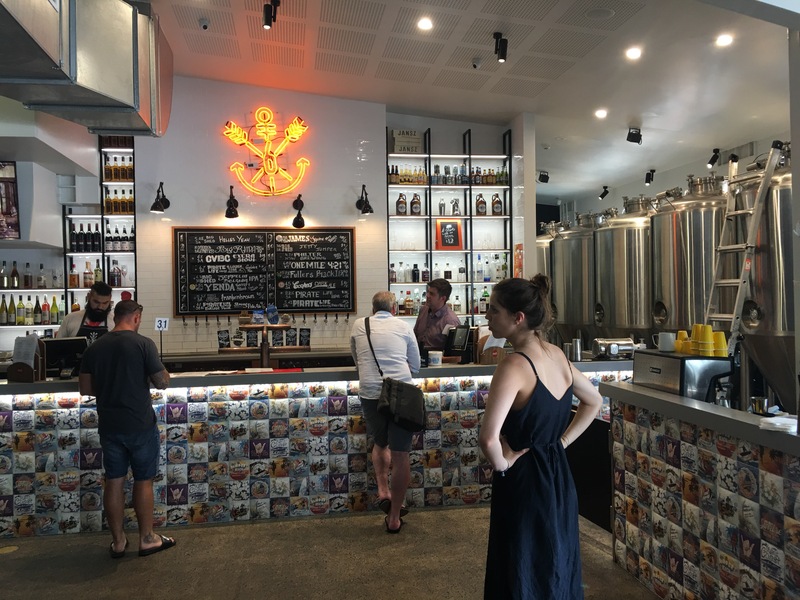 Beers easy to smash in a humid climate – and probably local friendly. The food was fine pub grub. My Philly Cheese Steak was large and tasty. My daughter was very happy with her salad and we enjoyed our dinner that evening. They’ve dropped plenty of coin on the joint and good luck to them.